Noticied Panzer Elite is cheap on GOG. So, I thought of this website. Im more of looking for WW2 tank games. I assume that your ref to Panzer Elite Action was in jest, unless you are after an arcade game with tanks (each to their own, no moral judgements made here). Buy 'em and try 'em is my advice, if you can get 'em cheaply enough. 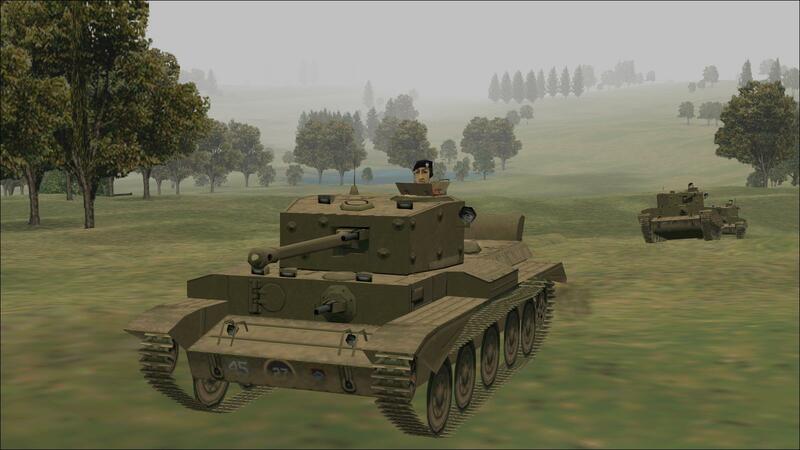 PE is in many technical respects a better tanksim than SF:K42. Both need mods to be at anything like their best. 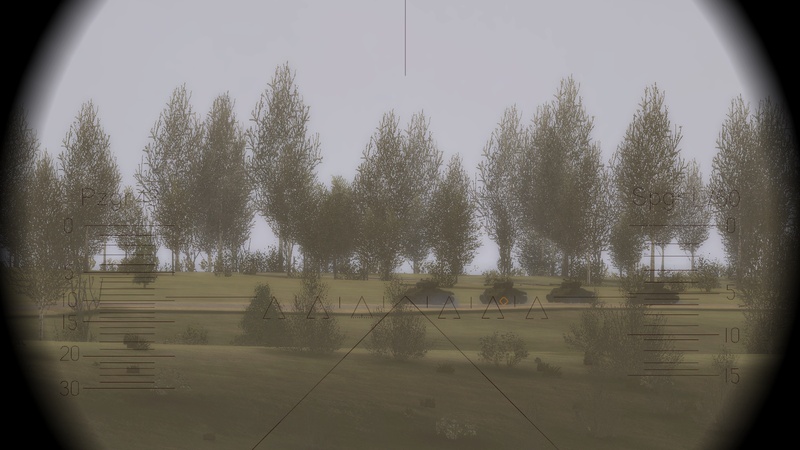 You'll have noticed that SF:K42 has much better graphics, especially terrain and representation of infantry, field defences and crew-served weapons. And IMHO better stock missions (in that they generally represent more realistically company-level all-arms operations). PE is much better for its scope and for its related campaign elements, stock or modded, and has much better command, control and comms. 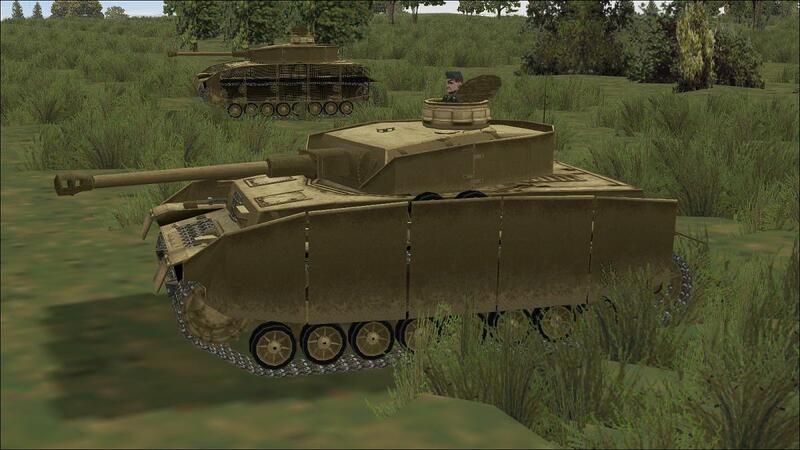 IMHO, anyone with a serious interest in fighting WW2 armoured battles on the PC just has to have these two, whatever else they may try or buy. If I had to choose one, I wouldn't. Last edited by 33lima; 09-15-2017 at 01:20 PM. Well, I really like arcade games! 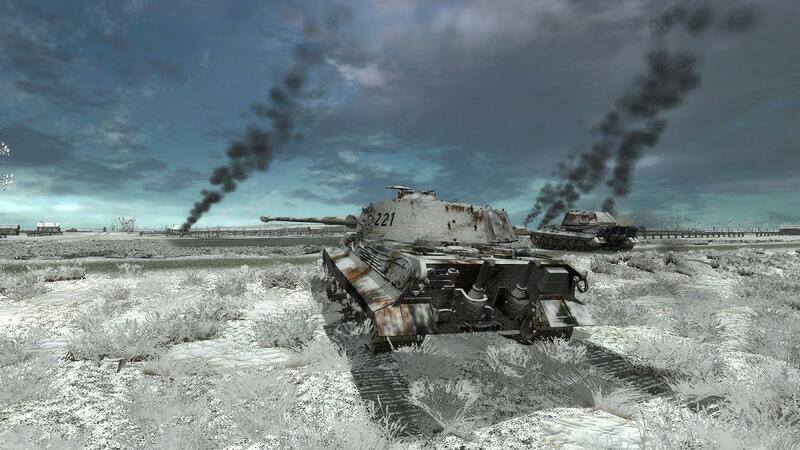 Why not get both Panzer Elite and Steel Fury? And yes I have seen that post. Your pics really drew me in! Don't, I had Steel Fury many years ago, and found it quite dissapointing. I know you said WW2, but the boss on the block was and is Steel Beasts Pro 4. If you want to just play some light stuff and kill some time, pick any of the several tank games around. If you want a sim, go SBP. 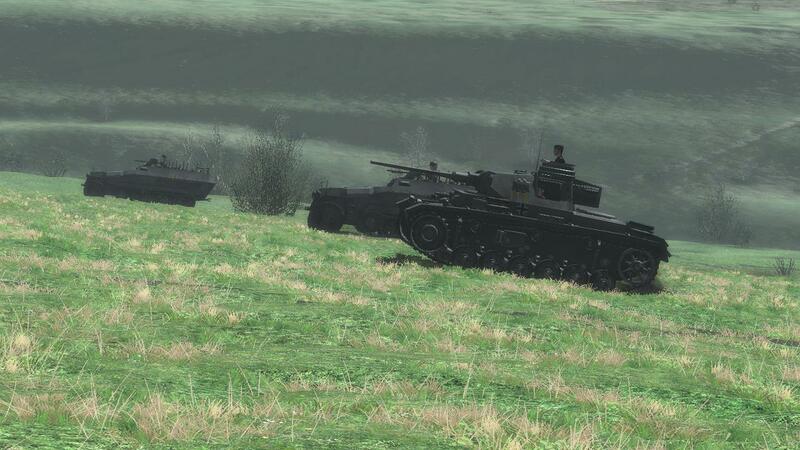 Old school tanking without modern sensors and wepaons can be simulated by using accordingly old vehicles, SBP now includes tanks since end of WW2. You can also edit scenarios so that sensors are broken and old ammuntiions are enforced, short viewing ranges collide with killed thermal display, etc. Vehicle list in the SBP sticky thread at top pof the forum list. Each to their own Skybird but I read your original assessment of Steel Fury and thought it a bit on the harsh side. Besides, even though the basic engine is today much as it was after the last patch, SF as it was back then is no basis to judge SF as it is now. 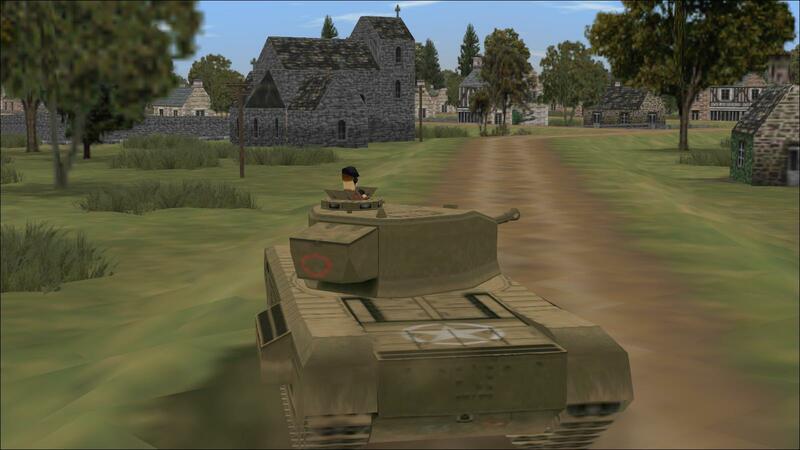 It's not as good a tanksim as either SB or SABOW but many find it one of the best. 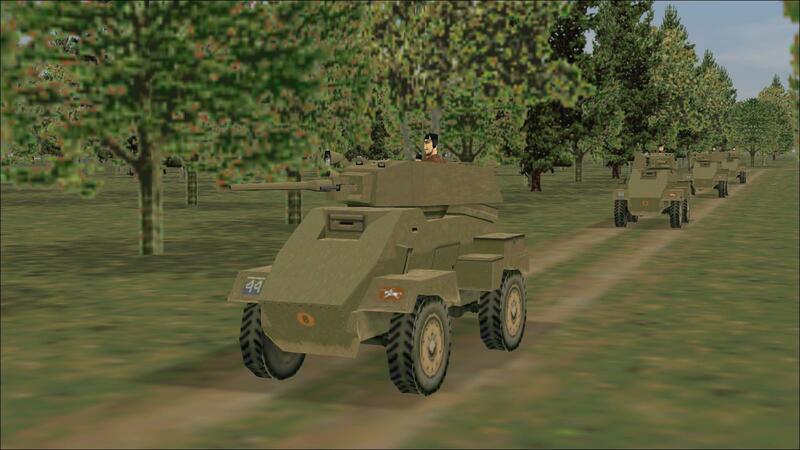 While I rate SB very highly indeed, especially for its attention to the sort of detail (like crew drills and comms) that other tanksims tend to do less well, IMHO there is no sufficiently compelling reason for anyone who wants a reasonably realistic WW2 experience to consider purchasing a tanksim, however good, that features no WW2 AFVs or units when there are good, dedicated WW2 tanksims available. Which there are. 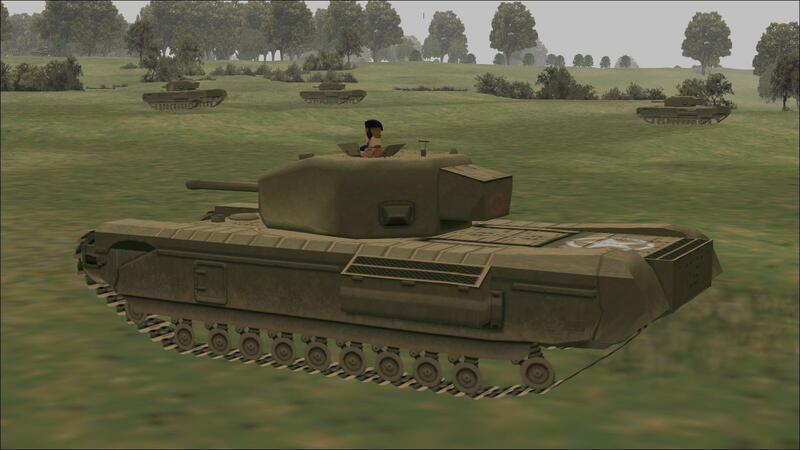 If you want a good modern (post-WW2) tanksim, buy Steel Beasts or Steel Armor Blaze of War - each has their respective advantages, including price point, # of playable vehicles and so on. 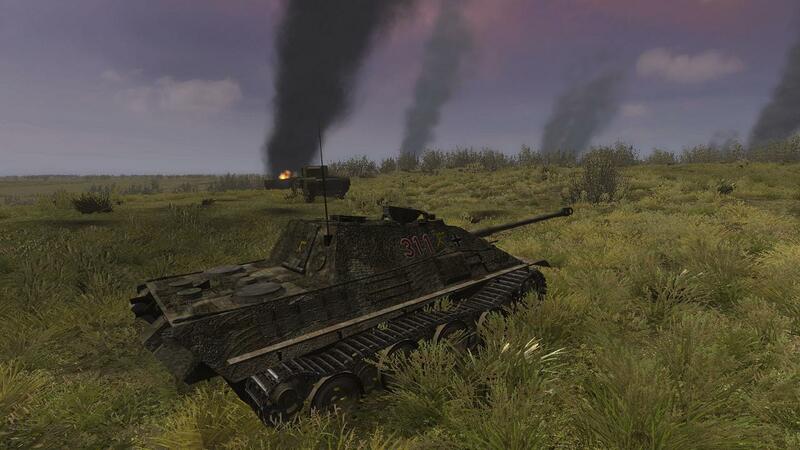 If you want a good WW2 tanksim, buy Steel Fury or Panzer Elite, both preferably. I plan to get both! The one I think I will enjoy more is the one that has less detail, I'm not looking for a super sim. It will take a while to learn, but I reckon that bot will be very fun! Last edited by 33lima; 09-16-2017 at 01:45 PM. 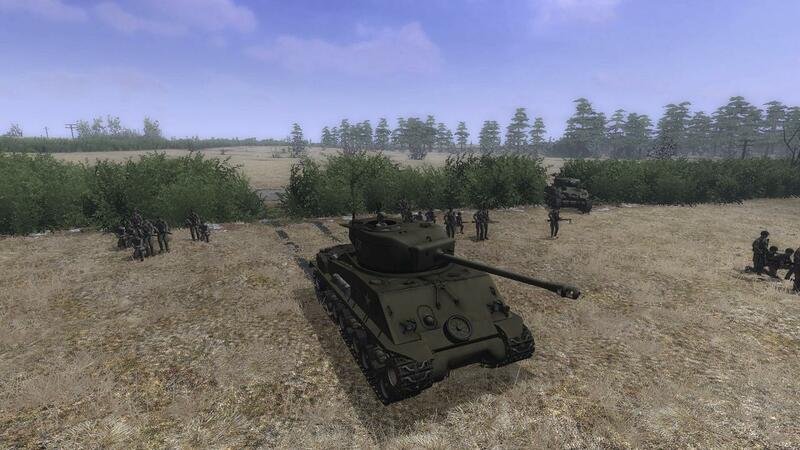 Now Steel Fury, starting with a couple of scenes from a Jagdtiger mission I made for the 'Schulze's Diary' campaign. Last edited by 33lima; 09-16-2017 at 02:03 PM. Thank you! Im about to get panzer elite. I would like to know anythinga bout compatibilty for Windows 10 64-bit. Also, What is the primary sites for mods and the most popular mod? Panzer Elite on the way! Last edited by Lootron; 09-16-2017 at 01:29 PM. Reason: panzer Elite on the way! Thanks! 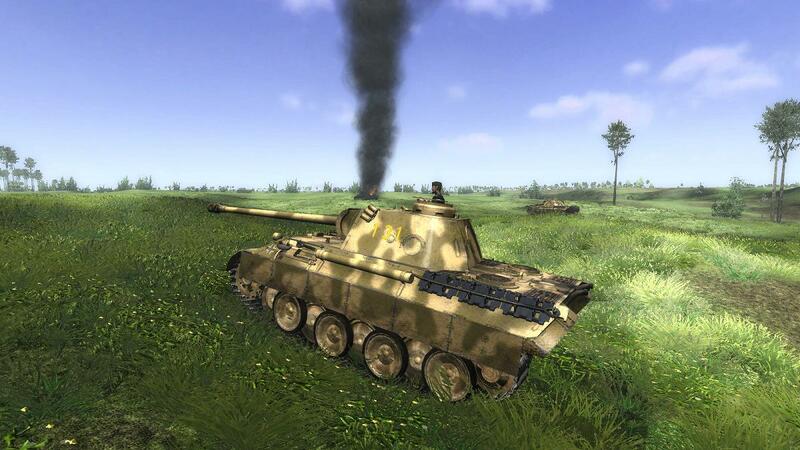 Any advice for a complete noob to tank sims and panzer elite? Stay low, drive in valleys, not over ridges and hilltops. Remain formation and unit cohesion, if your chosen sim allows that. 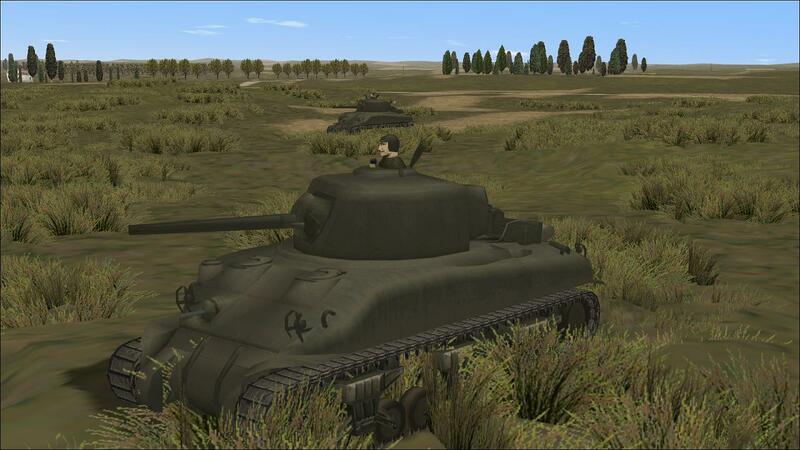 Depending on your chosen sim, do not stay in place once the enemy has spotted your position (artillery...). Learn that difference in viewing angles from (from top to bottom) TC unbuttoned, TC buttoned, gunners primary sight, gunners secondary sight. That you see something something as TC or in gunners primary sights does not mean that the gun barrel already has cleared any obstacles in front of the tank. If manual distance callibration of optics is allowed by your chosen sim, dial in expected combat distance before you make contact, not after establishing contact. Get off the first (aimed) shot before the enemy, but dont perforate the air. Especially modern tanks run out of ammo unbelievably fast. If reloading, go into cover. If reshuffling ammo from stores to ready racks, withdraw from the firing line completely. Have situational awareness, always. Know where your buddies are, always. Keep on mind: "Static defences are monuments for the stupidity of man." Also, I was more looking for "how do I shoot" more than "when to shoot"
Also Looking for mods. Ostpak seems best. Or is it panzer elite three? Well anyway I found the link but the domain is gone. Anybody have a download? Last edited by Lootron; 09-16-2017 at 07:03 PM. 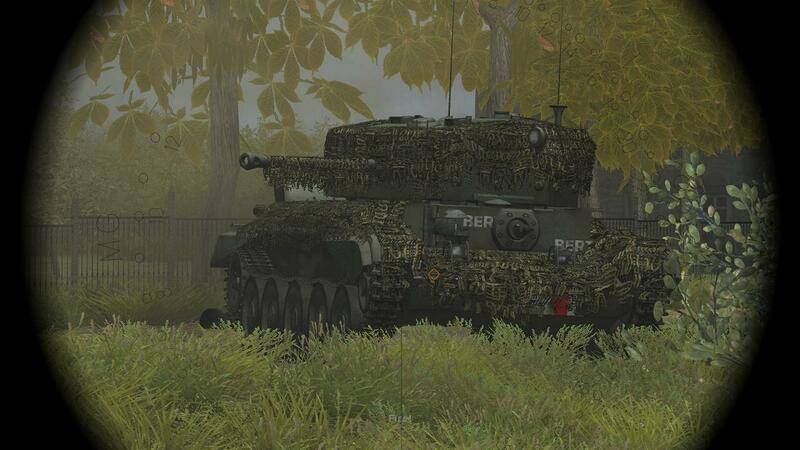 Their website is here: http://pedg.chollie.co.uk/ It's a bit old now but still has links to stuff like my British Voice Pack, and a 1943-era British tank manual, mainly aimed at levels higher than troop/platoon. 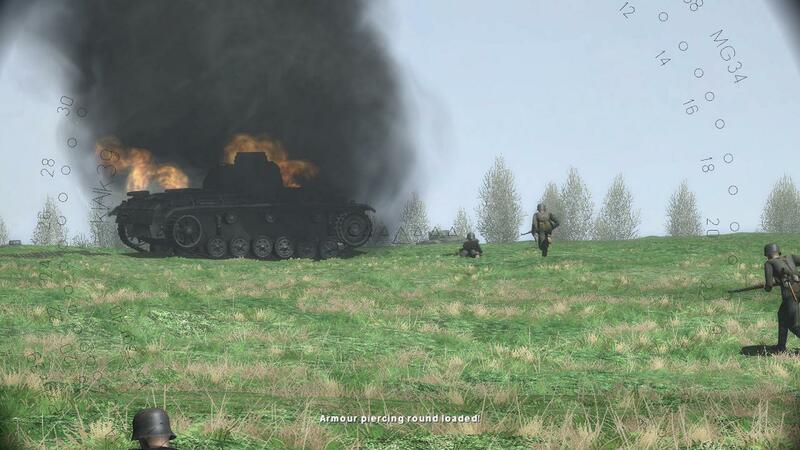 PEDG is the group that produced the mods that were released with Panzer Elite Special Edition, including the original Ostpak, Britpack '44, Torch, Panzer Pack 2 and Monty-v-Rommel. Newer versions of most of these are available or in development - details on the forum above. There is a gunnery range mission somewhere. My advice once you have the vanilla game installed and the 1.2 patch applied (n/k if it comes with the GoG version) to d/l, enable and play with mods which are built with the new .exe file. You don't want to be without the things it adds, like better tank and infantry AI and proper time of flight for ballistic trajectories (the big flaws in the stock game). 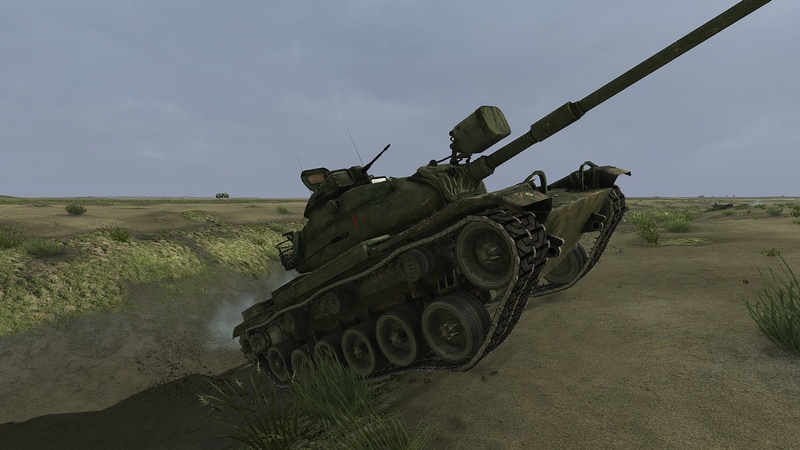 Learn gunnery (and everything else - including handling your tank and later, controlling the others in your platoon) in the Instant Action mode. 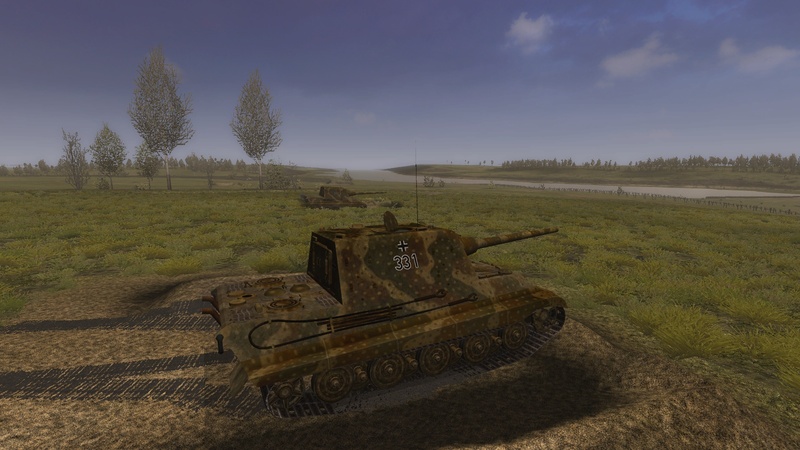 Pick the German side and a Tiger or King Tiger (both for your own tank and as 'wingmen') - that will mean you have to worry less about being knocked out while you are figuring out how not to be. If your command tank is KO'ed you are automatically and rather quickly transferred to the next tank in your platoon. 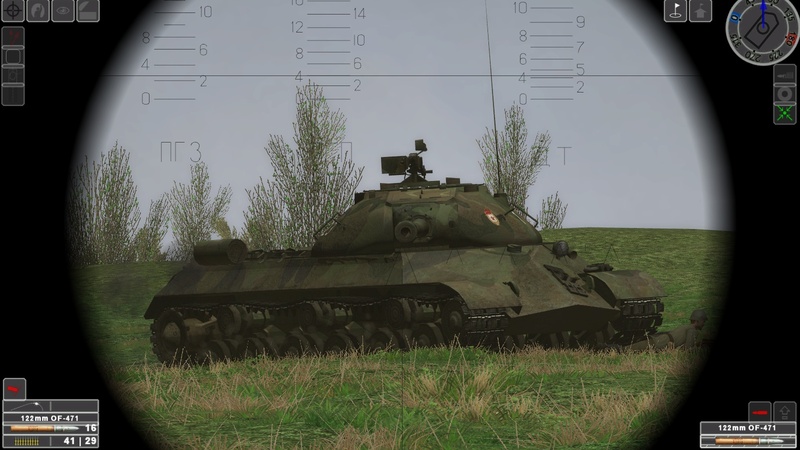 Google will also turn oup other advice on German tank sights. 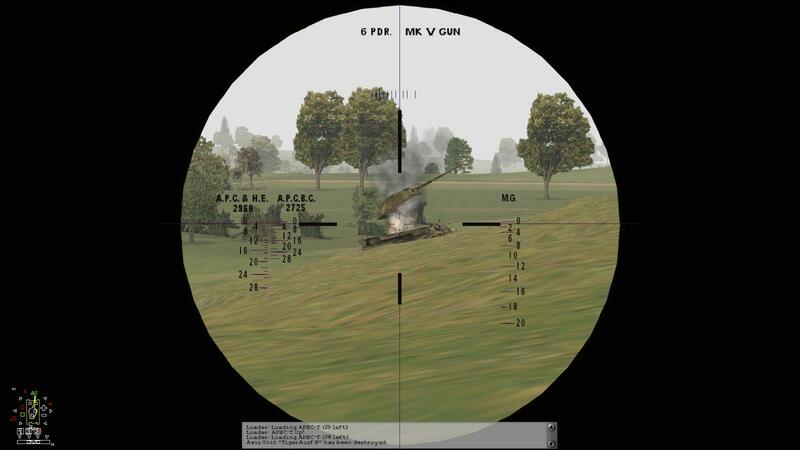 With PE-x mods you can correct your aim from observation of the tracer as well as from fall of shot. Listen to the target indications you get on the intercom/radio net, and see displayed on the text panel bottom of screen. Switch to the external view from time to time to get a better picture of what is going on around you.Learn the keys to swap between this view and gunner's sight view so you can do so quickly. 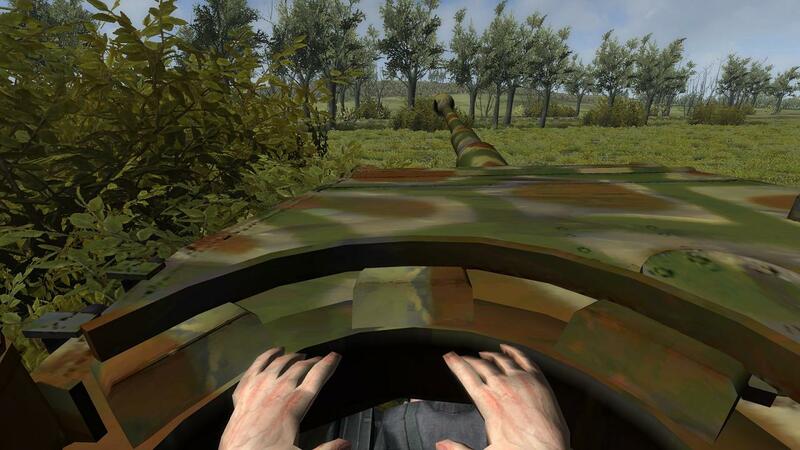 Consider playing from the tank commander's view so you are not frequently viewing the world through a drinking straw. You can designate targets by mouseclick, and your AI gunner will engage. Or you can just tell him (not just the platoon) to 'fire at will' - he is very good ay identifying targets for himself, depending on skill level. 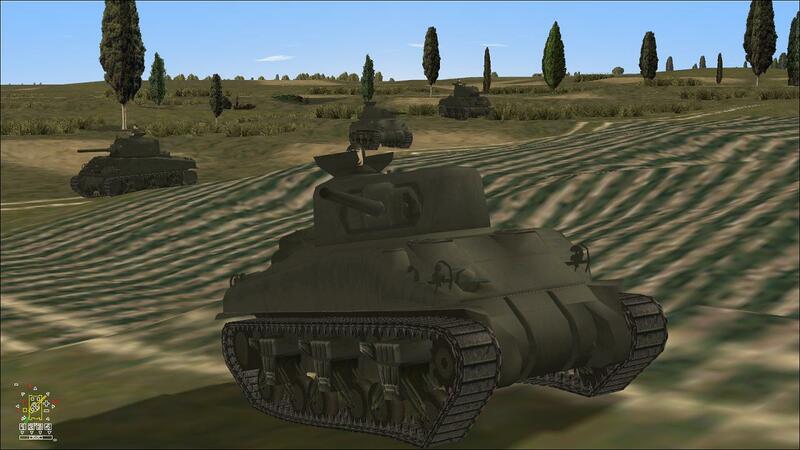 Start every battle by immediately turning your tank to face the enemy while at the same time driving into the best cover that you can get into quickly. 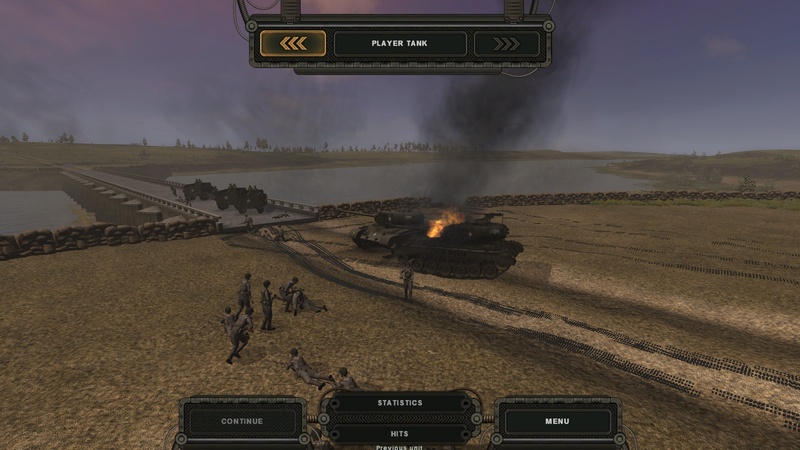 As your tank moves, order your platoon into wedge or line, so that they too will orient their thickest armour and primary arcs of observation towards the threat (sadly in PE the AI tanks are not good at getting into cover for themselves but you soon learn to try to lead them all into cover). Avoid closing with enemy armour more than you have to, to engage them, as you will get flanked faster. 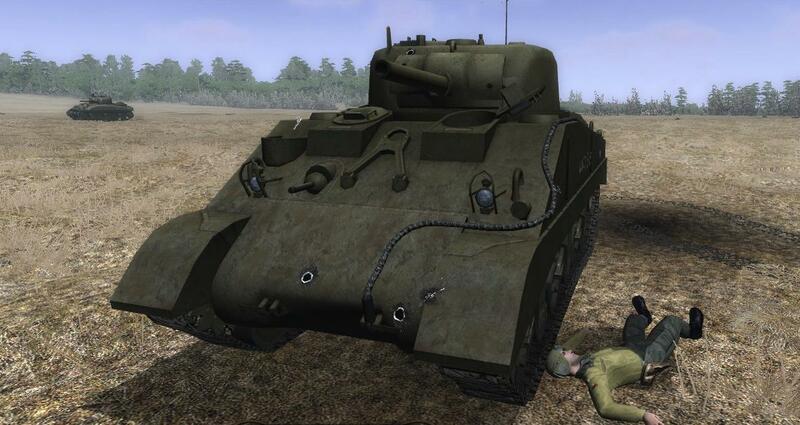 Try to get into folds in the ground from which you can see and shoot the enemy but where you are 'hull down', with much of your tank out of their fields of fire and only your turret showing. 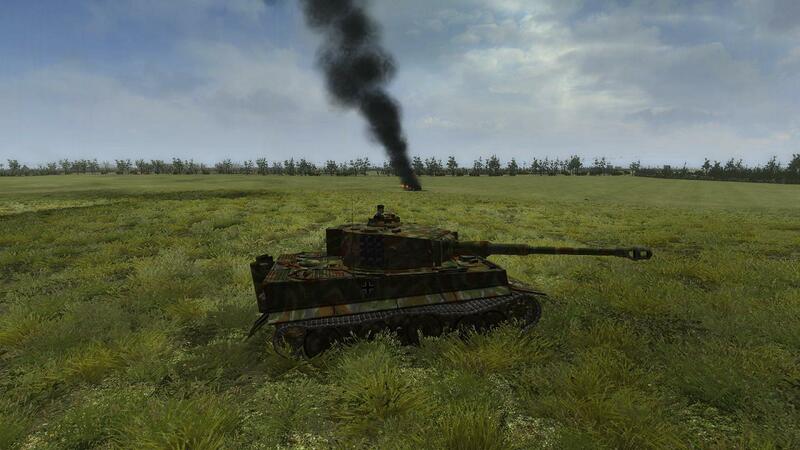 After a few rounds, back up out of sight - if there is no cover from structures or in the lie of the land, you can pop smoke in most tanks to give you a small smoke screen, and in some tanks fire smoke shells at an enemy as in 'Fury'. Then come at him from a different angle so he's not homing in on you. Watch your flanks because he will try to flank you and if you sit too long in one place he will succeed. Last edited by 33lima; 09-17-2017 at 05:38 AM. PE3 is/was I think an effort to include 'nearly everything' in one mod which it did, though it had some issues and it sacrificed some of what each mod brought eg IIRC no playable Crusader tanks in N Africa, with Valentines substituted. Ostpak Redux is effectively an update of PE3. Last edited by 33lima; 09-17-2017 at 05:27 AM.